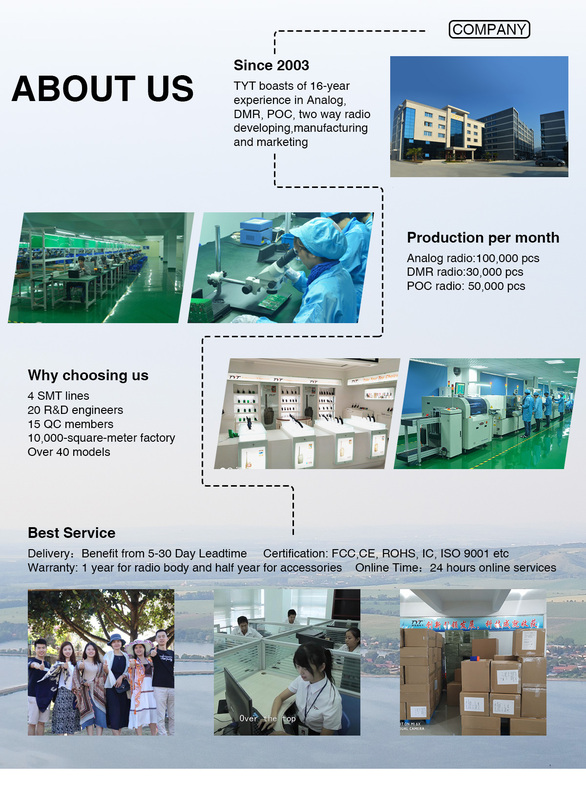 TYT Electronics boasts of 16-year experience in two-way radio manufacture. We offer in-house design and production service of shells, antennas, keypads and more. Our 20 R&D engineers have ten years of industry experience on average, We use state-of-the-art machines for R&D such as signal generators, HP network analyzers, RF testing machines and more. We have our own molding factory to offer customized samples for you. And our in-house molding development ensures both prompt delivery and reliable quality. By now we have 40 models for your selection. Our QC team consists of over 15 members with eight years of experience on average. They carry out strict tests at every step. We offer a one-year warranty for our products. OEM/ODM orders accepted. Our 10,000-square-meter factory is equipped with six auto SMT lines from Yamaha. 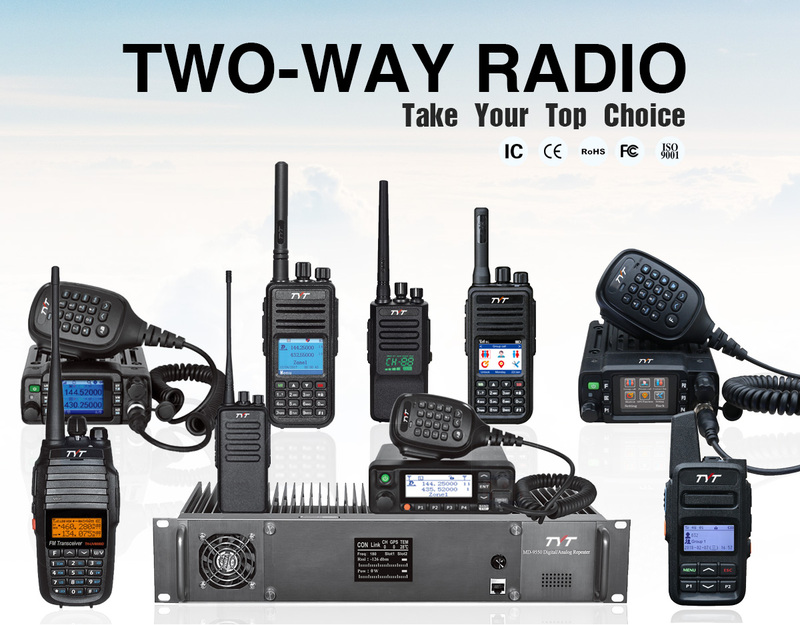 We can release 50,000 two-way radios every month. And your minimum order quantity of 100 units is available within seven days. For more information about our cost-effective products, contact us today.